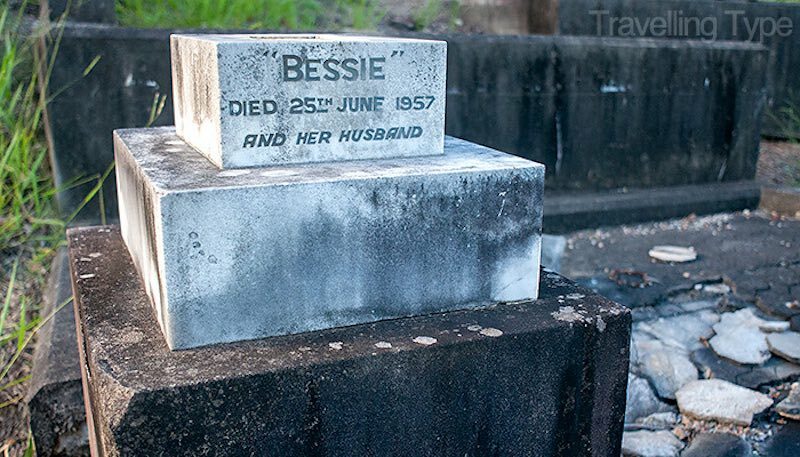 01.04.2019 – Moreton Bay Mysteries – 6 – Just who was the Lover of Hilda Finger? When Hilda had been offloaded onto the beach at Peel Island in 1911 she would have been met by the Superintendent of the Lazaret, which institution was located diagonally across on the other side of the island. A horse and dray would have taken them on this final leg of her last journey. Would it have paused at the top of the Bluff to watch the fire on the beach below? Would it burn in Hilda’s memory as it did in that of the young Ivy Rowell? What could Hilda’s thoughts have been as the dray headed off into the bush for the dreaded Lazaret? Hilda Finger died on November 22nd, 1916 and was buried in Peel Island’s cemetery on the same day. Her Death Certificate states the cause as due to: 1 Cardiac Failure (of one hour duration), 2 Leprosy (years). Family lore as reported by Hilda’s next younger sister, Mina, attributes the death to be due to an incorrect drug being injected by a doctor in Mackay. The doctor was reported to be so upset that he ceased practising. There was no mention of Leprosy or Peel Island, or of Hilda’s removal there. Was Mina reporting facts or was it just her way of dealing with curious questions? The other report of Hilda’s death is given by Ivy Rowell, the (by then) ten-year-old eye-witness who tells that Hilda and a male patient were lovers at Peel, but when he died, she was so stricken that, in Ivy’s words she “let out a squawk” and died too. Does such death by mortification occur in real life? Certainly it is common for an individual to lose the will to live after losing a loved partner, but does it occur within an hour as in Hilda’s case? Opera lovers, especially Wagnerians, would say “yes”. Take “Tristan and Isolde” for example. Shakespeare’s Romeo and Juliet also died in such a manner, admittedly with the help of a little poison, which leads one to wonder if the rumour of death by an incorrect injection may have taken place on Peel itself. Whatever its cause, by love lost or clinical misadventure, the death of Hilda Finger was a tragic affair of the heart. 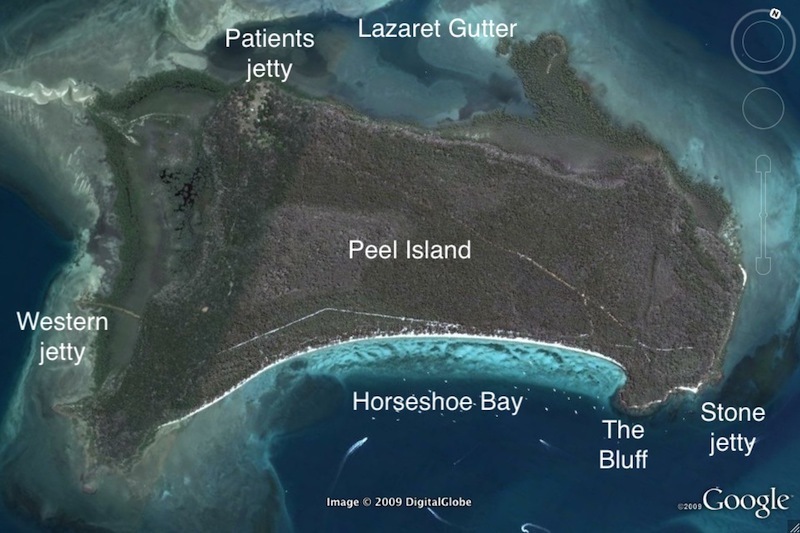 During my studies into the former lazaret (leprosarium or leper colony) on Moreton Bay’s Peel Island, people often asked me where the term lazaretoriginated. The obvious connection is with the biblical parables about Lazarus: ‘The rich man and Lazarus’ (who was a leper) and ‘Jesus raises Lazarus from the dead’ (another Lazarus who was not a leper). Perhaps it was the conflation (often erroneous merging) of these two parables that led to the declaration of Lazarus as a saint. In the 12th century, leprosy appeared in Venice as a result of trade with the Levant (Middle East). Thus, a leper colony—hospital for people with leprosy—was established at the island, which was chosen for that purpose due to its relative distance from the principal islands forming the city of Venice. It received its name from St. Lazarus, the patron saint of lepers. The church of Saint Lazarus (San Lazzaro) was founded there in 1348. Leprosy declined by the mid-1500s and the island was abandoned by 1601. Over the following years, the island was leased to various religious groups but by the early 18th century only a few crumbling ruins remained.In 1717 the island was ceded by the Republic of Venice to an Armenian Catholic monk, who established a monastery with his followers. It has since been the headquarters of the Mekhitarists and, as such, one of the world’s prominent centers of Armenian culture and Armenian studies. During the nineteenth century, many prominent people visited the island: the English Romantic poet Lord Byron from November 1816 to February 1817; composers such as Offenbach, Rossini, Tchaikovsky, and Wagner; writers included George Sand and Marcel Proust; monarchs from Spain, Austria, Britain, and France. Today Saint Lazarus Island continues as an important centre for Armenian studies, and is a popular tourist destination. Recently a special Peel committee has been focusing on possible future access to the island. Its report is due out by the end of the year. It may be an appropriate time, now, to look at the history of former points of access. 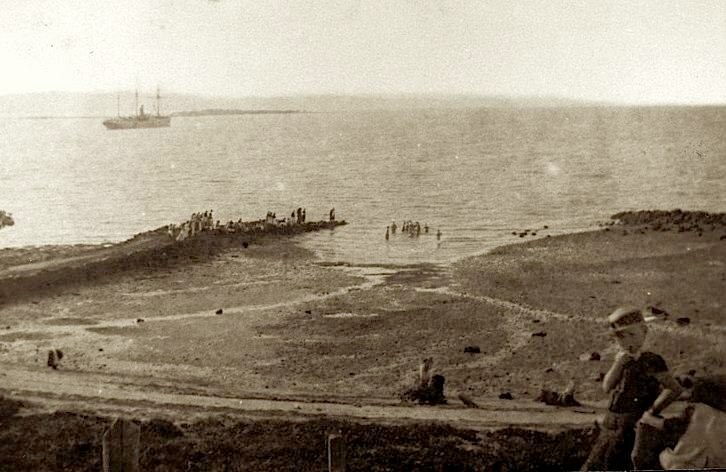 During the 1870s the foundations of the stone jetty were formed on the south-east corner of the island on the beach below the Bluff at the most convenient landing place by members of the ships quarantined there. The jetty was completed by prison and Aboriginal labour in 1893 and became the main access point for the island. Later, from 1907 the jetty was used as the main access point for the island’s Lazaret. However, vessels could not berth there at low tide, and the distance from the lazaret was also a disadvantage. So it was decided to build a jetty less remote from the lazaret and also one that could be used in all weathers and tides. 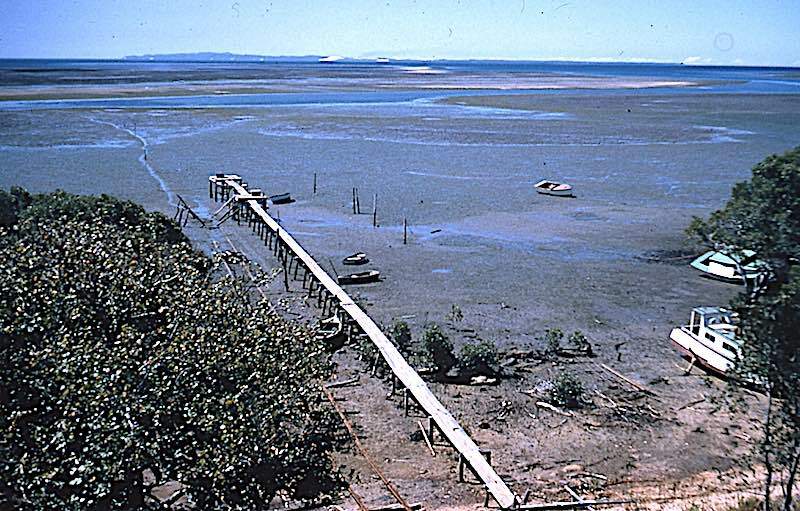 In 1948 the short version (causeway only) of the proposed western jetty was completed which enabled a much quicker access to the lazaret, but which was still not accessible at low tide. The longer (wooden) section, which straddled the sandbanks, was not completed until August 1956. From then on, this became the main access for the island. 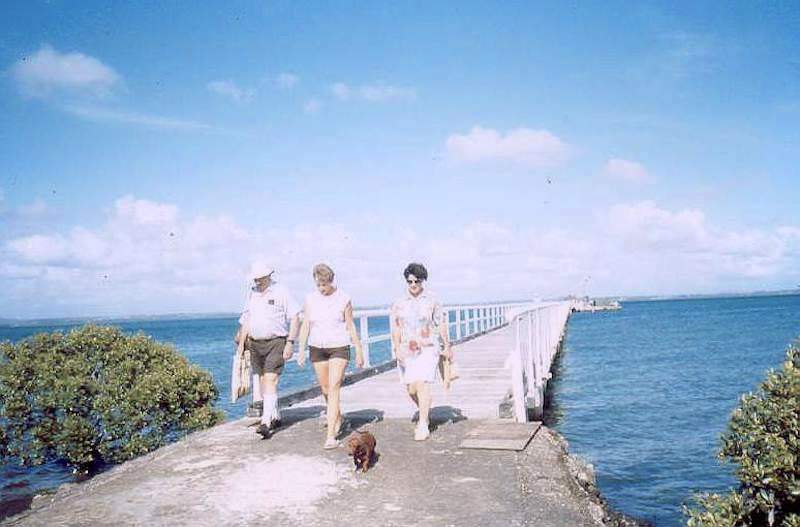 Although the lazaret was to close in 1959, the jetty was again useful when the then Church of England Grammar School (“Churchie”) took out its first lease on part of the former lazaret buildings in December 1968 for the purpose of sending their students to the island for three-day camps. 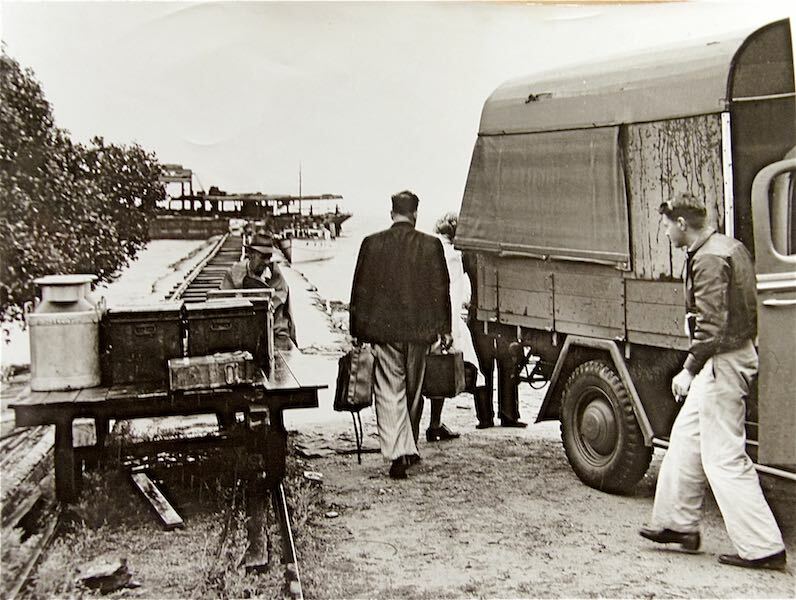 It is doubtful whether the old stone jetty on the South-East of the island would have been used, or repaired, after the opening of the western jetty in 1956. 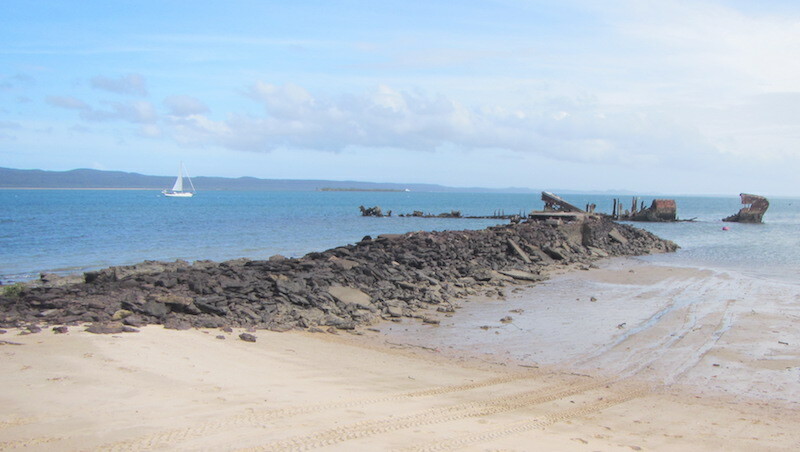 Sadly the Western Jetty had become unsafe after 40 years of inattention to its maintenance. It was demolished in late 1990s. This left Peel Island without proper access; a situation that has persisted until this day. A third access point to Peel Island was via the patients’ jetty, which straddled the mud flats from the Lazaret Gutter right up to the embankment below the Lazaret itself. It was constructed by the patients with materials supplied by the Health Department, and was for the exclusive use of the patients and their boats. As you can see from Dr Gabriel’s photo, the patients’ jetty could only be used at or near high tide. If such a jetty were contemplated today for public use, it would have to be a much more substantial affair and it would have to extend right out to the Lazaret Gutter if it were to be useable at all tides. Northerly winds would make it difficult for boats to berth, and the size of the vessel would be very limited. The advantage in siting a jetty here would be that the visitors arriving from such a jetty would land directly at the Lazaret itself, and thus save a 40 minute walk (each way) from Horseshoe Bay, as they have to do today. Even with a much shorter jetty, the visitor’s ‘two hours before and after high tide’ time limit would be considerably extended. 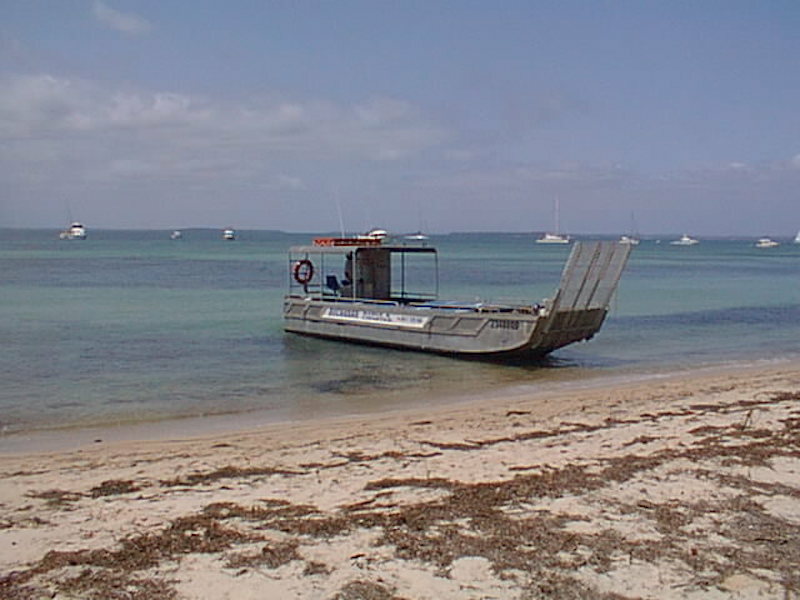 Maybe a landing barge, such as previously used to land tourists at Horseshoe Bay, could be employed to land at the Lazaret beach with no jetty at all being required. 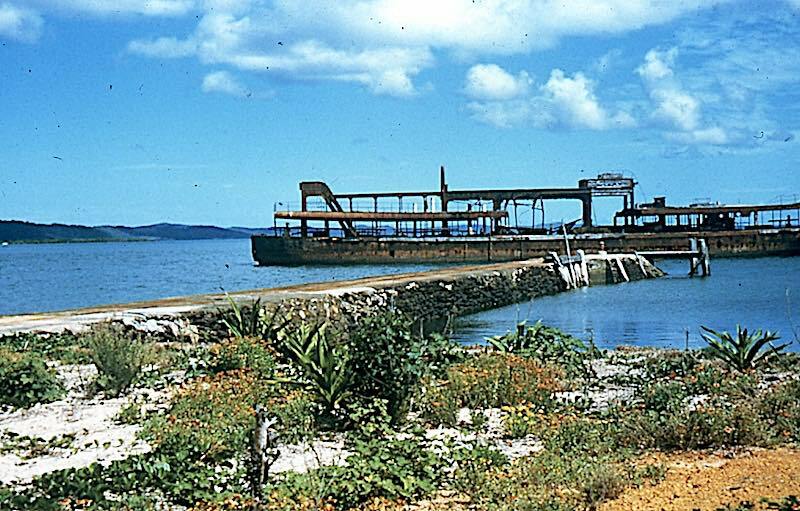 The Platypus was sunk on Thursday, 21st October 1926 and with time and tide, about to claim its final vestiges, it seems appropriate to revisit some of its history both as a dredge and as a breakwater. The End of the Platypus. Peel Island’s stone jetty and the Platypus in the mid 1950s. ‘For the men patients, fishing was a major pastime. Some had boats that they moored just below the men’s compound. Several patients constructed a jetty there, using Ti-Tree posts cut from the surrounding bush. Favourite fishing spots included the coral reef just off the lazaret, and the reefs around the hulk of the dredge Platypus at the stone jetty. At times the patients would moor their boats alongside the Platypus and sleep the night on her decks ready for an early start to the next day’s fishing. Schnapper were in abundance then, as well as Parrot fish, the largest of which was some 10 lb. There was also reputed to be a 500 lb. Grouper living in the vicinity of the ‘Platypus’, a rumour that was to persist for the next half century. Red and Yellow Sweetlip, Cod, Sole, Taylor, and Flathead were also caught in abundance. There was one grave on Peel Island, which caused quite a deal of comment. This was situated at Horseshoe Bay just above the high water mark. 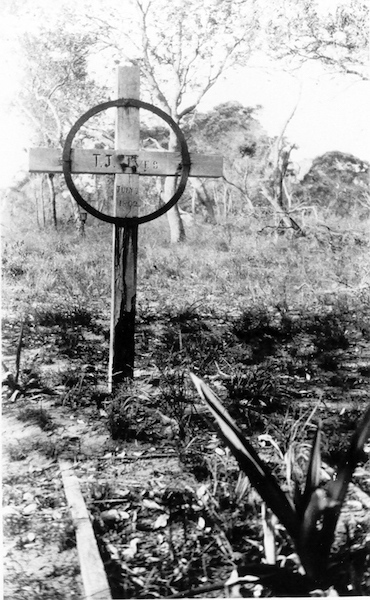 Inscribed simply with the initials T.J. and bearing the date 1802, the markings on the wooden cross seemed to indicate that the grave could only have been that of a crewmember of one of Matthew Flinders’ exploring trips of that year. However, Tom Welsby was later to hear from one of the elderly residents at Amity Point that the real date had been 1892 and that one of the Amity locals had changed the date by chiselling out part of the 9, thus making it a 0. In actual fact, the grave was that of T.J.Ives, a comedian and actor from Islington in London. He had travelled in the Oroya from London to Sydney, and thence in the Buninyong for Brisbane to fulfil an engagement there. Before reaching his destination, however, he and the 120 other passengers on the Buninyong were quarantined at Peel after a smallpox suspect had been reported from the Oraya. Ives developed the disease and died aged 32 after being in Queensland only a fortnight. He was buried at Peel in the grave that was later to be the subject of a local’s sense of humour. Perhaps he would have appreciated the joke that fooled everyone for so long. Source: Tom Welsby, Brisbane Courier 1923. In the early 1990s, on one of my visits at Peel to stay with Ray Cowie, the Redland Shire Council’s Ranger there. I was surprised when he produced a large metal hoop that he had found hanging on a tree branch just behind the sand dunes to the eastern end of Horseshoe Bay. I immediately recognised it as the ship’s fitting that had been attached to the grave of T.J.Ives, whom I had written about in 1988 for my book “Peel Island, Paradise or Prison”. We surmised that a bushfire had destroyed the wooden cross, causing the metal hoop to fall to the ground, where it would have lain for many years until a boatie picked it up and hung it off a nearby tree. Ray showed me where he had found the metal hoop, and we searched around on the ground beneath the tree on which it had been hung, hoping to find some evidence of the grave, (e.g. a coral border or a Lilly as shown in the picture) but to no avail. The grave site still remains a mystery.
? Disease. Maybe around 10 deaths, with graves made up and head-boards with suitable inscriptions placed at each one, unlike many of the later graves from English ships. Sir Arthur Kennedy, Governor Designate for the colony of Queensland, was required to enter quarantine, as were all passengers of the Brisbane, though quarters were arranged for him on the government paddle yacht Kate. Came via Hong Kong, which had been declared an infected port – therefore automatic quarantining. Measles, typhoid fever amongst other diseases, 18 patients in quarantine, approximately 8 deaths including: Platen, boy, Platen, girl, Idie Stephan. Smallpox. Actually quarantined at the four fathoms hold (off Green Island in Moreton Bay) rather than on Peel Island, possibly because of the crowded conditions already on the island. Smallpox – passenger originally off the Oroyafrom London, transshipped in Melbourne. Details from family records of some of the people quarantined on Peel Island, communicated to Peter Ludlow. Jan Macintyre with material supplied by Eric and Rosemary Kopittke and Les Moreland. BOHEMIA – An Agnew Family Odyssey now showing at the Redland Museum. The association of the Agnew family with Moreton Bay began with the appointment of Philip Palmer Agnew as a Government Clerk and Telegraph Officer at the Dunwich Benevolent Asylum (Old People’s Home) in 1894, a position he held until his retirement in 1917. 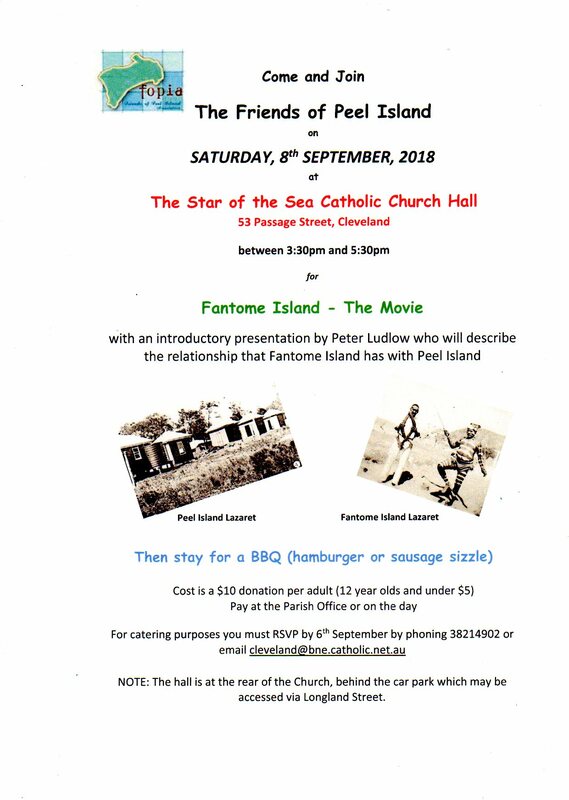 Philip became involved in the presentation of musical productions at the newly opened Victoria Hall for the Residents of the Dunwich Benevolent Asylum and the Lazaret (Leprosarium), which was to the south of Dunwich. The cast consisted of the members of his family, inmates, and community. He named the troop ‘The Koompie Minstrels’. The Agnew’s home was called ‘Bohemia’ a name well suited to the family’s artistic talents. 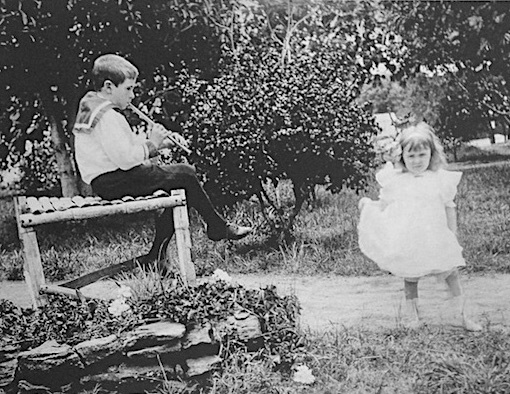 Noel Agnew entertaining one of his sisters. The Agnew’s world was rocked when their youngest son Noel, or ‘Laddie’ as he was affectionately known, contracted leprosy (Hansen’s Disease). This proved a catalyst for the sufferers on Stradbroke Island to be relocated to nearby Peel Island in 1907 for fear the disease would spread to the greater island population. Noel was to become one of the first and longest serving patients in the lazaret’s 52 year history. He used his time in forced isolation to record a highly detailed record of the bird life of Peel Island (76 species in total), which was published in the RAQU Journal The Emu in 1913. A further list was published in The Emu in 1921. Between 1921 and 1923, a brief remission from the disease enabled Noel to return to his family in Dunwich. Unfortunately, the symptoms returned, and eventually the disease claimed his eyesight and the use of his hands and he was bedridden. Laddie died in 1937 and was buried in the Peel Island cemetery. Philip Palmer Agnew also died in 1937, three months after the death of his son, Noel. The exhibition, which honours several generations of the pioneering, artistic and benevolent Agnew family, continues at the Redland Museum through until the end of February 2018.